This family-friendly property is located inside Banff National Park close Banff center accessible to 301 ski runs and 32 ski lifts. Douglas Fir Resort and Chalets’ recreational amenities include a waterpark with indoor waterslides, a fitness center, a children’s pool and a sauna. Other recreational facilities include 2 indoor pools, a spa tub, and a steam room. Guests have access to complimentary unlimited use of the Town of Banff shuttle and guest parking is complimentary during stay. There is dry cleaning services and tour assistance. Smoke-free property (fines may apply for violations). This property is self-catering. Douglas Fir Resort and Chalets offers studios, lofts, and one-bedroom condos with kitchens, fireplaces, and 42-inch high-definition televisions with cable. This property is located on the east side of Tunnel Mountain in the Canadian Rockies, 5 minutes from downtown Banff. Douglas Fir Resort And Chalets offers a waterpark with 2 indoor water slides, a children's pool, saunas, whirlpools, and fitness room. 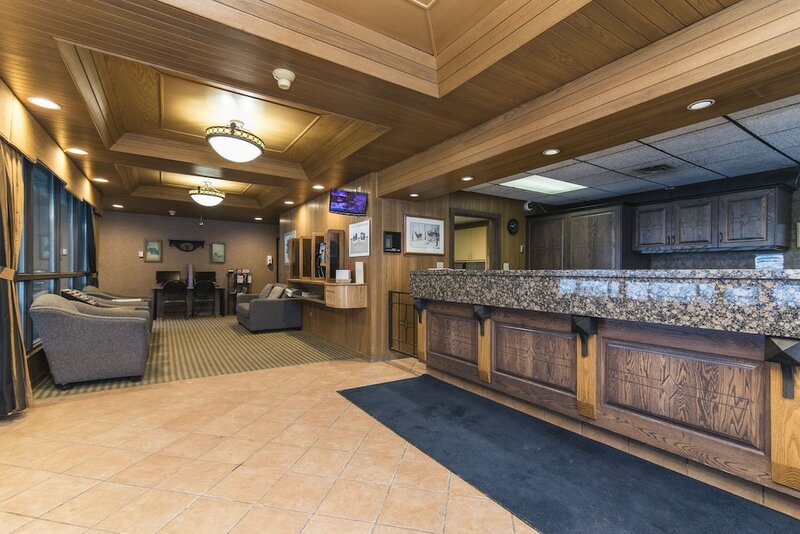 Other amenities include a convenience store, coin laundry, outdoor barbecue grills, and a liquor store. Registered guests of the Douglas Fir Resort and Chalets also enjoy unlimited complimentary use of the Town of Banff shuttle. Guest parking is complimentary during stay. Dogs are welcome in specific rooms for a fee, with advanced notice (restrictions apply).